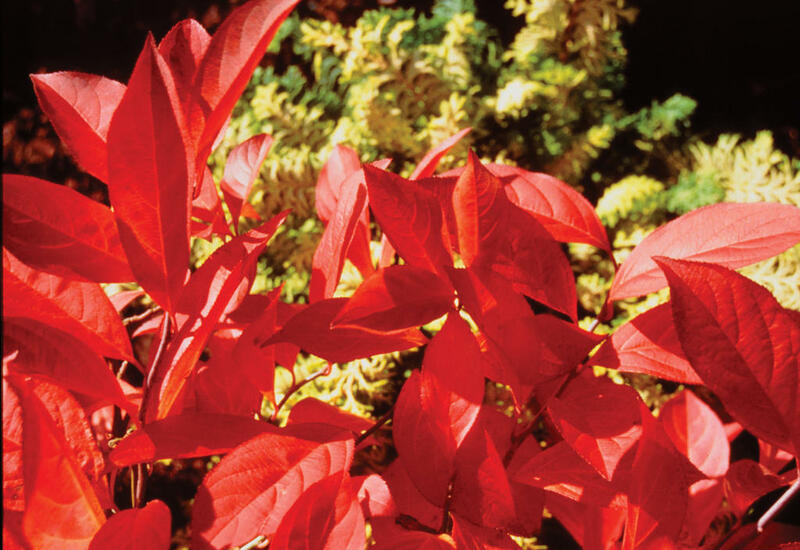 As colorful as burning bush, but native to North America and pollinator friendly! 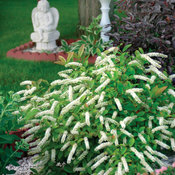 Little Henry is a useful native plant with lots of potential for the home landscape. 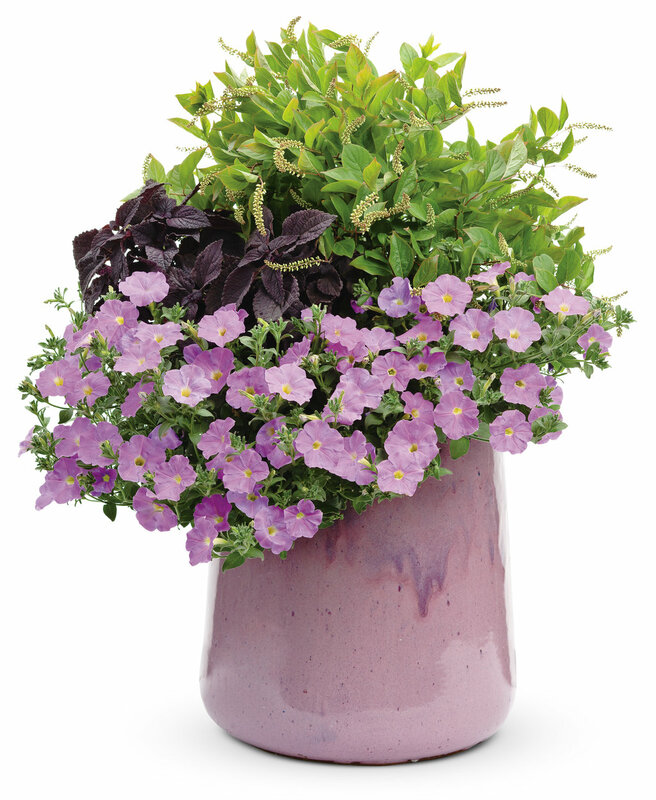 It prefers moist soils and will tolerate wet conditions. 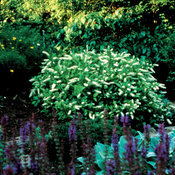 It will grow in full sun to full shade, and requires little pruning or other maintenance. 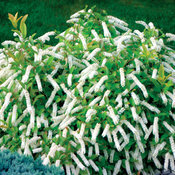 Little Henry has lightly scented, pure white flowers that shoot like fireworks in the early summer horizon. 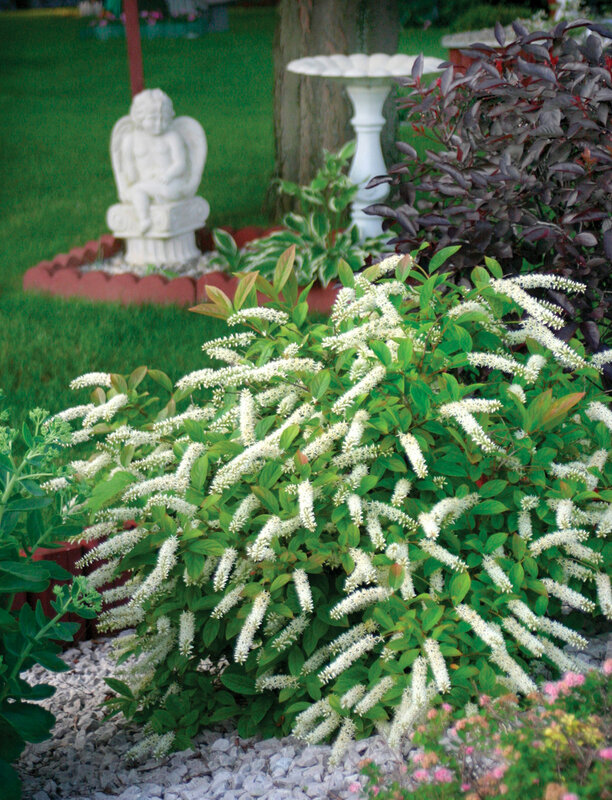 Its mounded, compact stature makes it an improvement over older varieties such as the old favorite 'Henry's Garnet'. It is also a delightful addition to the mixed border. Then when you're not expecting anything more, green summer foliage changes to a brilliant multitude of oranges and reds in the fall, making Little Henry a rewarding experience through out all seasons. 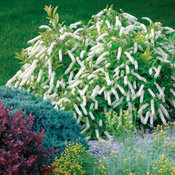 Great for grouping and for massing on large banks, in beds, and perennial and shrub borders. 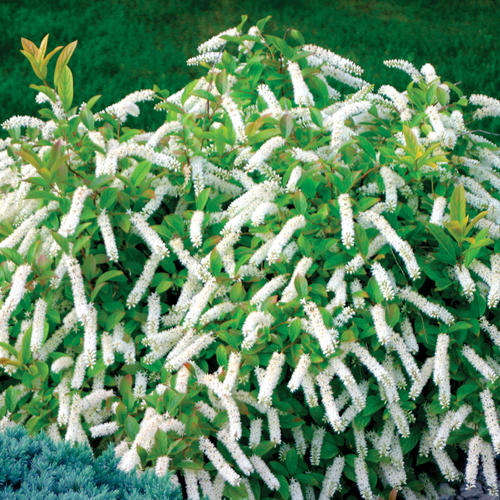 This is a good plant for woodland gardens or at the front of the mixed border. Its small size makes it perfect for smaller borders and beds. 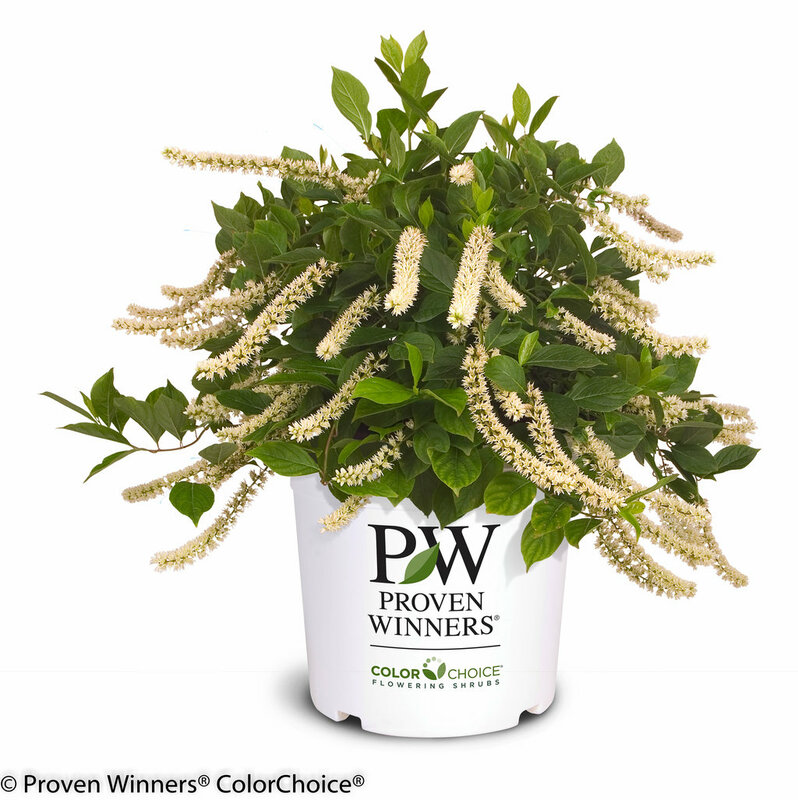 Thrives in moist, wet areas, but once established, can tolerate dry conditions. Not fussy about soil pH. 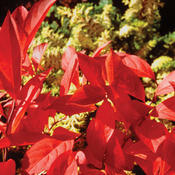 Will grow in shade, but flowering and fall color improves when the plant gets at least some sun each day. 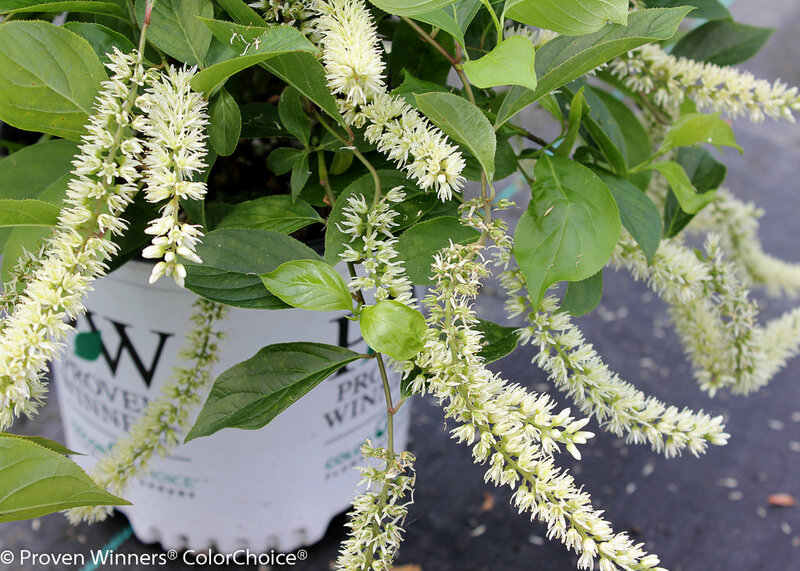 May be pruned after blooming if required. In colder areas, sweetspire may experience a bit of weather damage coming out of winter, so prune any dead wood out after new growth has begun. 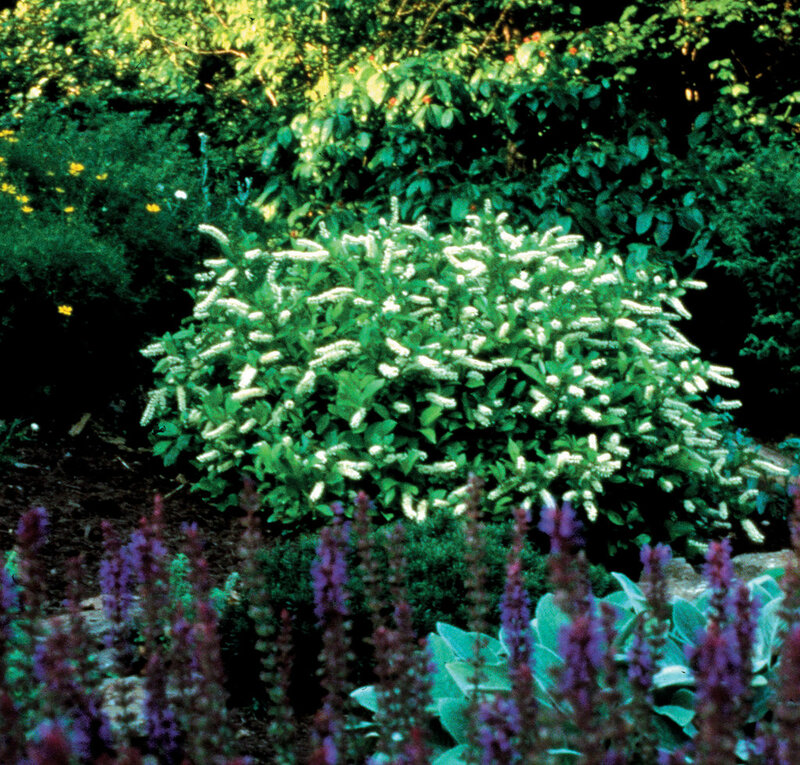 If desired, fertilize in spring with a granular fertilizer formulated for trees and shrubs, like a rose fertilizer. 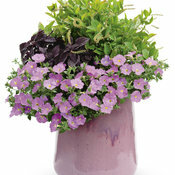 I just planted it this season so I will have to update my review on its performance once it is established. But OH MY WORD! The fall color on this plant is brilliant. Orange, green and red leaves all at once. I admire it daily as I walk past it and it feels like it is different every day. I would re-purchase based on the fall interest alone. I plan to buy at least three more. I love the look of this plant. 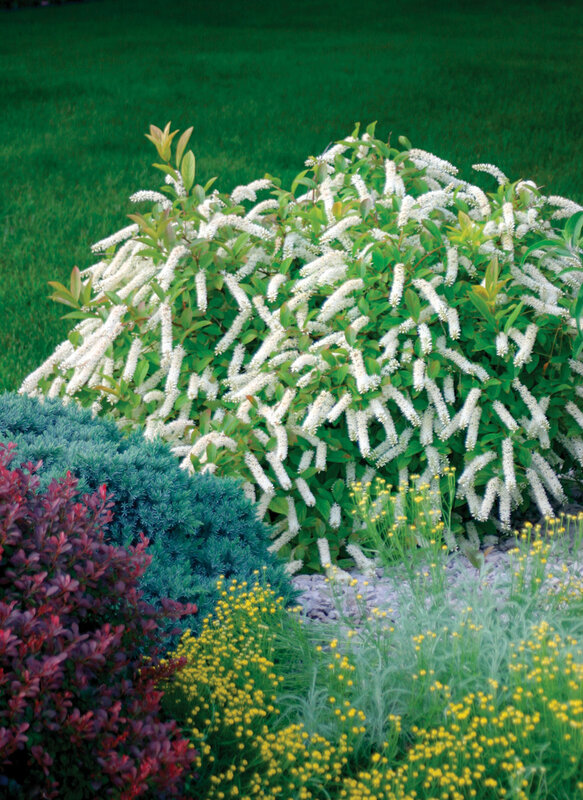 It is a standout in the garden. I purchased mine toward the end of the year. I have very good soil at my home. I am in zone 5a. It was not a harsh winter but it did not survive the winter. 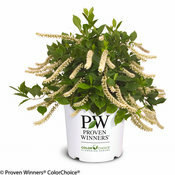 I would consider trying it again because we all know sometimes it is a hit or miss in terms of plants surviving. Was delivered healthy and packaged very well. I've seen some new growth in the month or so since planted. I'm starting to see some of the red fall color! had no luck with 6 of these. never bloomed. poor fall color. planted in partial shade. dug them up after 5 years and threw them out. Gorgeous little plant. Loaded with fragrant blooms every spring which last into summer - always evoking comments from visitors. Equally as pretty in the fall with it's bright orange foliage. 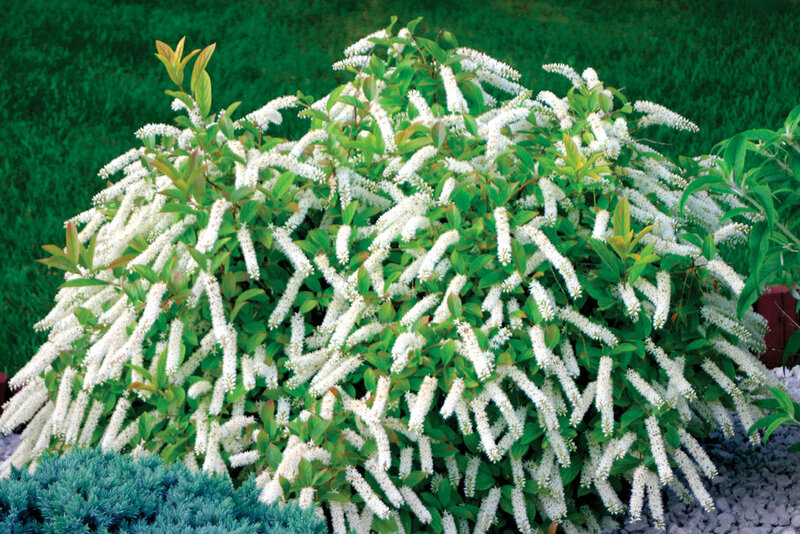 Except for fertilization and minor pruning, this plant is maintenance-free. 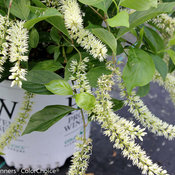 I bought a Little Henry Itea for a shady area between a white pine tree and a Heritage Birch. It gets about 3 hours of afternoon sun. It is not doing very well. Last year it looked really scraggly and didn't bloom. The two frost/freezes we had this spring took a toll on it as well as many other plants. The ground is moist in the spring and dries out usually in August when I water the plants in that area. I used a slow release fertilizer on it last spring. I'd like to know if I should move it to a more sunny area and/or how to amend our alkaline soil to help it survive.